A photography enthusiast has beaten professionals to win a Lake District photography contest co-judged by famed mountaineer Sir Chris Bonington. 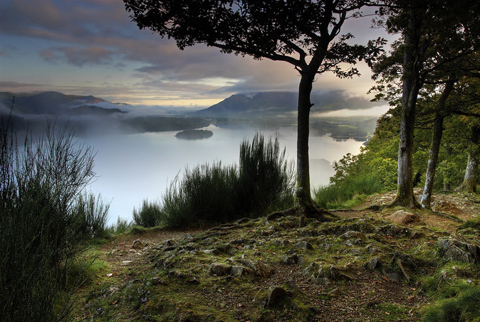 Keith Firstbrook, who lives near Wolverhampton, won first place in the Cumberland Ale Keswick Mountain Festival Photo Competition, stunning organisers with his picture of Derwentwater. Keith said he used a Nikon D200 digital SLR and Sigma 20mm f/1.8 lens for the winning shot. He added: ?The Lakes is an inspiring place. I could walk around for years and never run out of photo opportunities. But this particular view has to be one of the best in the world.? Entrants were asked to submit photos that ?represent Alfred Wainwright?s love of the Lakeland fells?. The judges stated: ?He has captured a popular viewpoint in a unique and fresh way – gaining high scores in all judging categories. This is not easy to do and Keith is a very talented photographer. ?